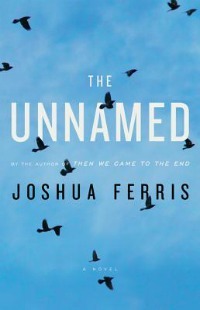 I read and adored Joshua Ferris' debut novel Then We Came To An End last year. Upon finishing it, I couldn't wait to pick up his latest The Unnamed. The two books are very different, which is great. There is nothing worse than an author who writes a different version of the same book. However, I'm sorry to report that in the end, The Unnamed was a disappointment. I enjoyed the first hundred or so pages of the novel, but then it became so dragged out. The same thing kept happening again and again, without much purpose, and the novel as a whole began to feel underdeveloped. The protagonist of the novel, Tim, is a successful lawyer living in a suburb of New York City. His family, like most, is not without their problems. But, one day Tim walks out of his office and is unable to stop. Doctors can not discern why Tim can't stop walking; his condition is unnamed. What unfolds is the story of a man whose life falls apart one day at a time. I should say the book wasn't all bad. 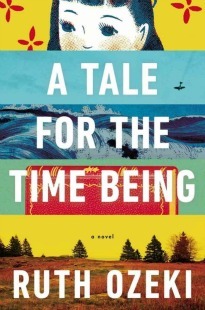 There were certain passages and notions conveyed that were notable, though somewhat clichéd; the importance of appreciating the little things in life and the idea that one shouldn't take their family and loved ones for granted. But these moments were too far and few between to make this a worthwhile read. I have yet to read any Ferris, but I've browsed through both The Unnamed and Then We Came to the End. The Unnamed seemed really sparse in comparison, but I was intrigued by the blurb, mostly because I didn't really understand it. Thanks for the thoughts. This one was pretty bleak. It was a fascinating concept, but I agree, it does drag. Boo, too bad -- sounded interesting! I didn't like this one. I thought his writing was very good but the plot and the characters failed to engage me. I haven't read his first book. Too bad it lost it for you after 100 pages or so; at that point it's hard to just put the book down! LBC, If you're interested in Ferris I would definitely start with Then We Came to the End. Melissa, I know it was an interesting concept! It sucked me in a first and then it just didn't deliver. Glad I'm not the only one who thinks so. Literary Stew, You're right the writing was very good. Trisha, I know! I wanted to quit after 200 but for a 300 page book, I couldn't rationalize not finishing it at that point. That premise looks intriguing I have to say, but there's nothing that bugs me more than people who give up on what they worked on all their lives to "make the small things important". Like dreaming and having goals was stupid, all of a sudden. Great review. I still haven't read his first novel. I'll keep this in mind. Unfortunate that you didn't enjoy it more. The Classics Challenge is Back!